Sano, D., Amarasiri, M., Hata, A., Watanabe, T. and Katayama, H.
Environment International, 2016, 91, 220-229. Sano, D., Ohta, T., Nakamura, A., Nakagomi, T., Nakagomi, O. and Okabe, S.
Applied and Environmental Microbiology, 2015, 81(8), 2819-2826. Miura, T., Okabe, S., Nakahara, Y. and Sano, D.
Water Research, 2015, 75, 282-291. 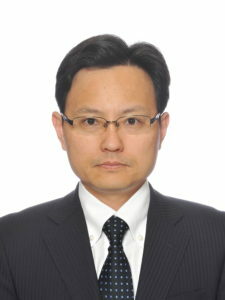 Miura, T., Sano, D., Suenaga, A., Yoshimura, T., Fuzawa, M., Nakagomi, T., Nakagomi, O. and Okabe, S.
Journal of Virology, 2013, 87(17), 9441-9451. Pérez-Sautu, U., Sano, D., Guix, S., Kasimir, G., Pintó, R. and Bosch, A. Environmental Microbiology, 2012, 14(2), 494-502. Sano, D., Perez, U., Guix, S., Pintó, R. M., Miura, T., Okabe, S. and Bosch, A. Applied and Envionmental Microbiology, 2011, 77(3), 1111-1114. Sano, D., Pintó, R. M., Omura, T. and Bosch, A. Environmental Science and Technology, 2010, 44(2), 808-812.